How A New Roof Is Installed? We do not install roofs over existing shingles. This procedure is outdated. Why? Because you cannot properly inspect and repair faulty and defective roof decks for proper fastening of the shingles. If the deck is defective the nails will not hold the shingles in place, which can lead to blow-offs. In addition, ice and water barrier applications cannot be applied. Why? Ice & water barriers need to be fully adhered to the roof deck. Aesthetically, shingles installed over old shingles most often results in a wavy & uneven finished product. Finally, you’d need to remove old shingles before properly weaving in wall flashing. Mass Save thermal imaging heat loss audits or Jones Boys Insulation Company can ensure proper attic insulation if you’re considering a new roof installation. Several factors cause ice dams: Poor or under insulated attics and crawlspaces, heat loss from openings in your ceilings such as skylights, attic hatches, bathroom fans, and recess lighting fixtures. The number one cause of ice dams is heat loss. Ice dam barriers will certainly help prevent ice dam damage but they do not prevent ice dams. All water needs is a paper thin opening to enter the soffit, siding, fascia boards and window casings etc. We only use Carlisle WIP 100 ice and water barrier protection. With a membrane six feet wide, we apply it at the leading edge of the roof and three feet around all roof penetrations and valleys. 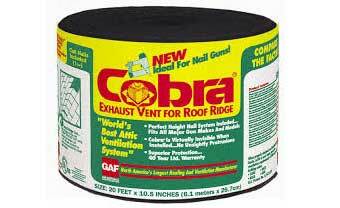 We lift the chimney flashing and wrap the base of the chimney with this ice protection too. 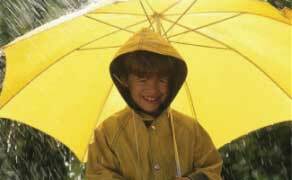 Although most manufacturers recommend three feet of protection AB Carnes Roofing initiated the six feet method 20 years ago. Others followed. Say goodbye to traditional asphalt saturated felt paper which is now obsolete. We now use Rhino UDL-15 Plus high performance Synthetic Waterproof Underlayment Membrane. Traditional Felt paper is NOT waterproof. In addition, it is difficult to use because it tears and rips when applied. 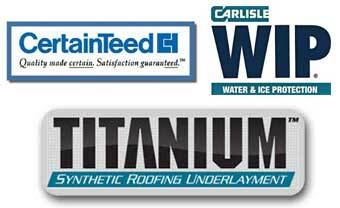 Titanium UDL-15 is a revolutionary new synthetic roofing underlayment designed specifically for use under asphalt shingles. This membrane holds up to 25 x times stronger than 15 pound felt paper with a fiber grip walking surface for safety, chalked just like felt and backed by a 10-year limited warranty! 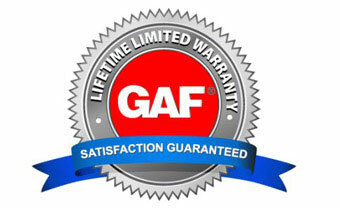 So when Mother Nature strikes, ensure your new roof has the best backup available for your money. While most companies use black tar to secure the Chimney & Wall flashing, AB Carnes Roofing has developed a procedure that makes them the leader in the roofing industry. We tear out the existing flashing at the base of the chimney. We cut a new reglet in the brick and insert the new lead in place. Then we secure the lead with anchors driven into the reglet. To make the reglet watertight, we use a joint sealer. And before we weave the lead into the shingles, an ice/water shield wraps around the base of the chimney. Black tar is not flashing! Mechanically attaching the shingles is one of the most important procedures of the new roof installation. You simply seat the shingles correctly for proper security on the roof deck. Blow-offs occur when you drive nails in too deep, fracturing the shingle. Nails that are crooked or not flush with the shingle will prevent the next shingle applied from sealing which will lead to blow offs. Manufacturers can easily void the shingle warranty for improper fastening methods. Note: Faulty nailing voids all manufactures warranties. We, of course, secure shingles with 1 1/4” plated roofing nails in accordance with CertainTeed nailing specifications. In some high wind locations Storm nailing (a/k/a Hurricane nailing) may be required to prevent shingle blow offs. Please note that the shingle adhesives bond the shingles together which makes them difficult to separate and blow off. The roof boards or plywood under the roof shingles serve as the roof deck. The roof deck must be in good condition so the new shingles may be securely fastened in place. If the decking is defective and not repaired or replaced the new shingles will surly blow off. When covering the roof deck with CDX plywood the installation methods are very critical. We stagger the plywood across the roof to prevent picture framing of the new shingles. We secure both ends of the sheet of plywood to a rafter with screws and/or ring nails. If we don’t do that, the plywood will eventually elevate which could lead to shingle damage. Then the body of the plywood is nailed to the remaining rafters. Note: Some contractors nail the plywood directly to the defective roof deck. If the defective decking will not hold the fasteners for the shingles, it surly will not hold the nails for securing the plywood. So placement on the rafters is critical! The shingle warranty requires proper ventilation to remain in effect. In the rare case that a shingle fails, the manufacturer requires actual shingle samples from the roof showing they were properly fastened. Holes in the shingles from the nails and photos prove proper roof ventilation. Failure to do this could affect the shingle warranty. We never use dumpsters, which can damage driveways and or lawns. We cart all project related debris away in our company owned dump trucks. Because dumpsters can damage private and public property many cities and towns require special permits and or the posting of a bond. Some require the fire dept. be notified for safety. We pride ourselves with providing the best installation not the fastest!